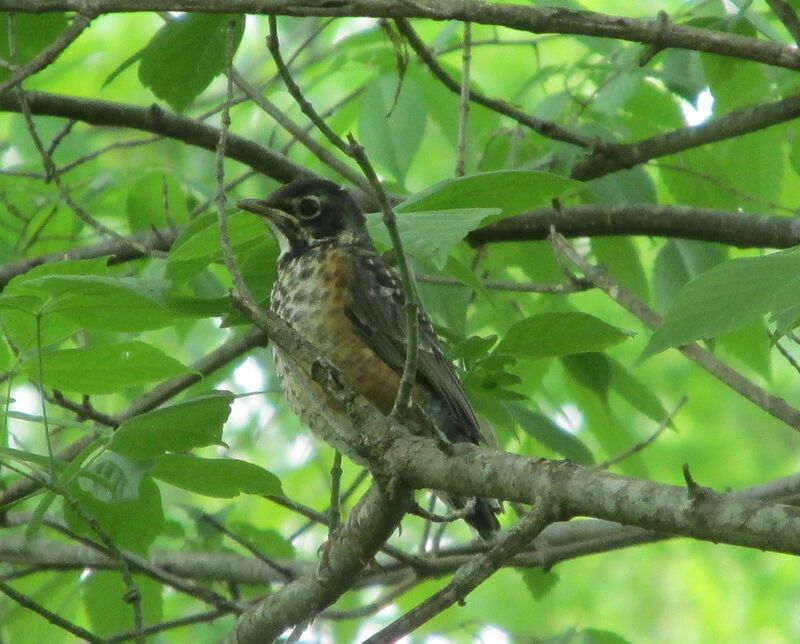 The Lee and Lois Herndon Chapter of Tennessee Ornithological Society held its annual Summer Bird Counts in the counties of Carter and Unicoi in June, adding to the data that exists for regional bird populations during the summer nesting season. 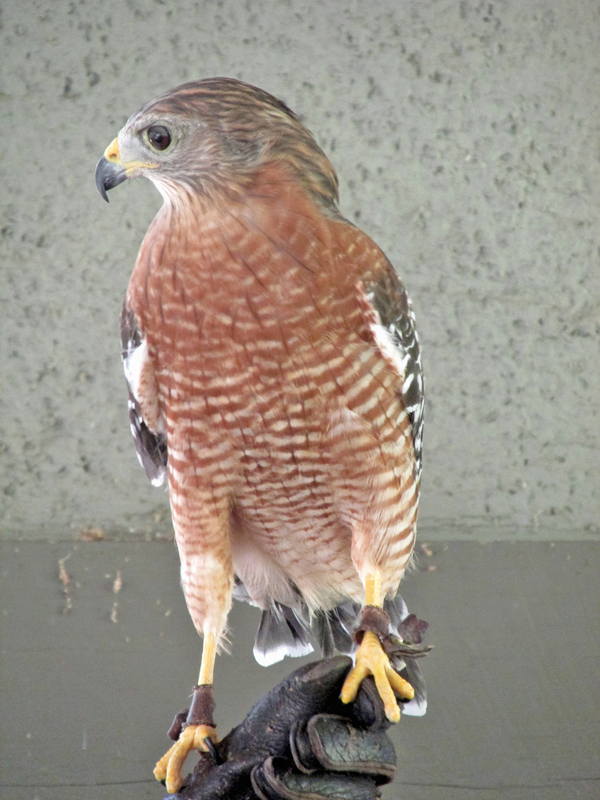 Photos by Bryan Stevens Red-shoulder Hawks, such as this captive individual that is part of an educational program at Brookgreen Gardens in South Carolina, are relatively rare birds in Northeast Tennessee. Although its hasn’t been conducted for a long time, the Unicoi County Summer Bird Count established a new record this year with a total of 112 species reported, in contrast to the 110 and 111 species tallied during the first two Summer Counts conducted in 2014 and 2015. A total of 21 observers in five parties counted birds in Unicoi County on Sunday, June 12, from Flag Pond and Erwin to Unicoi and Limestone Cove, as well as other strategic locations. A total of 20 species of nesting warblers made the count, including Blackburnian, Swainson’s and Magnolia. Other highlights from the count include a single Northern Bobwhite, four Bald Eagles, a Red-shouldered Hawk (a scarce bird in Northeast Tennessee) and three Red Crossbills. Although I participated in the first two Unicoi County Summer Bird Count, I was in South Carolina at the time of this year’s survey. I hate to miss any count, and I was excited to learn that this year’s survey set a new record for most species to date. Young American Robins, such as this bird, helped provide sizable numbers for this bird on the Summer Counts. The American Robin took the prize as the most common bird with 417 robins observed by count participants. The robin was closely followed by European Starling (317); Song Sparrow (186); and Indigo Bunting (129). The 85 Hooded Warblers found on count day made this species the most common warbler on this year’s survey. Canada Goose, 76; Wood Duck, 12; Mallard, 21; Northern Bobwhite, 1; Ruffed Grouse, 3; and Wild Turkey, 16. Great Blue Heron, 22; Green Heron, 2; Black Vulture, 7; Turkey Vulture, 43; Sharp-shinned Hawk, 1; Cooper’s Hawk, 3; Bald Eagle, 4; Red-shouldered Hawk, 1; Broad-winged Hawk, 5; and Red-tailed Hawk, 8. Killdeer, 10; Rock Pigeon, 52; Mourning Dove, 108; Yellow-billed Cuckoo, 2; Eastern Screech-owl, 1; Great Horned Owl, 3; Barred Owl, 2; Chuck-Will’s-Widow, 3; Whip-poor-will, 11; and Chimney Swift, 35. Ruby-throated Hummingbird, 7; Belted Kingfisher, 4; Red-bellied Woodpecker, 26; Yellow-bellied Sapsucker, 3; Downy Woodpecker, 16; Hairy Woodpecker, 7; Northern Flicker, 8; and Pileated Woodpecker, 14. American Kestrel, 3; Eastern Wood-Pewee, 7; Acadian Flycatcher, 43; Least Flycatcher, 6; Eastern Phoebe, 54; Great Crested Flycatcher, 1; and Eastern Kingbird, 13. 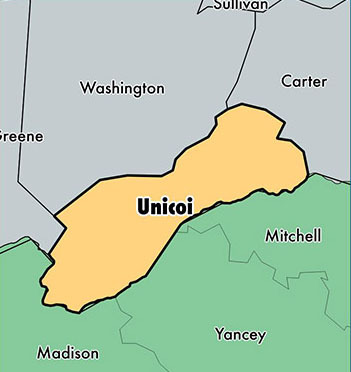 Counts focused on Unicoi County and adjacent Carter County. White-eyed Vireo, 6; Yellow-throated Vireo, 1; Blue-headed Vireo, 41; Warbling Vireo, 1; and Red-eyed Vireo, 140. Blue Jay, 52; American Crow, 156; Common Raven, 6; Northern Rough-winged Swallow, 33; Purple Martin, 14; Tree Swallow, 108; Barn Swallow, 69; and Cliff Swallow, 70. Carolina Chickadee, 65; Tufted Titmouse, 43; Red-breasted Nuthatch, 9; White-breasted Nuthatch, 15; Brown Creeper, 2; House Wren, 27; Winter Wren, 1; and Carolina Wren, 78. Blue-gray Gnatcatcher, 22; Golden-crowned Kinglet, 13; Eastern Bluebird, 67; Veery, 23; Hermit Thrush, 3; Wood Thrush, 35; American Robin, 417; Gray Catbird, 40; Brown Thrasher, 23; Northern Mockingbird, 27; European Starling, 377; and Cedar Waxwing, 51. Ovenbird, 70; Worm-eating Warbler, 18; Louisiana Waterthrush, 6; Black-and-white Warbler, 19; Swainson’s Warbler, 4; Kentucky Warbler, 2; Common Yellowthroat, 4; Hooded Warbler, 85; American Redstart, 9; Northern Parula, 15; Magnolia Warbler, 2; Blackburnian Warbler, 1; Yellow Warbler, 3; Chestnut-sided Warbler, 10; Black-throated Blue Warbler, 25; Yellow-throated Warbler, 18; Prairie Warbler, 6; Black-throated Green Warbler, 53; Canada Warbler, 16; and Yellow-breasted Chat, 3. Eastern Towhee, 68; Chipping Sparrow, 40; Field Sparrow, 19; Song Sparrow, 186; and Dark-eyed Junco, 49. 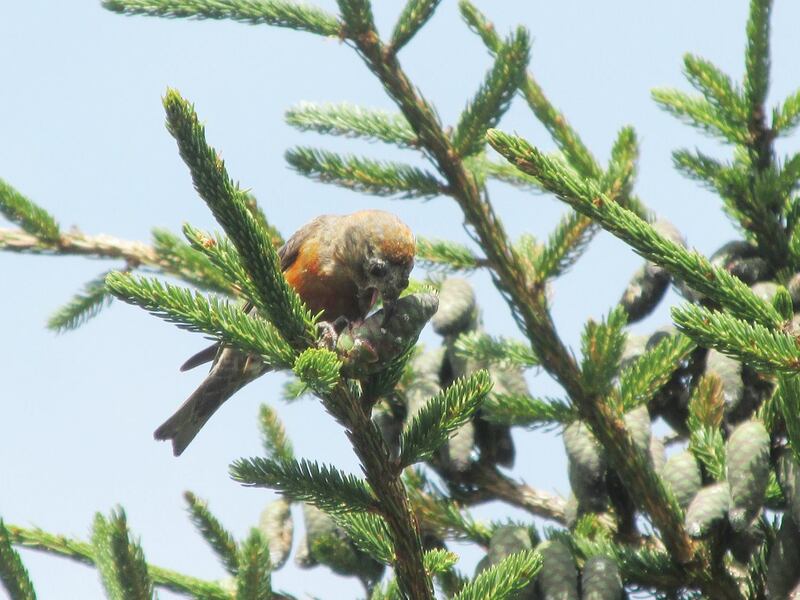 Red Crossbills were found on the Unicoi County Summer Count. Scarlet Tanager, 29; Northern Cardinal, 97; Rose-breasted Grosbeak, 9; Blue Grosbeak, 3; Indigo Bunting, 129; Red-winged Blackbird, 120; Eastern Meadowlark, 11; Common Grackle, 50; and Brown-headed Cowbird, 46. House Finch, 29; Red Crossbill, 3; American Goldfinch, 76; and House Sparrow, 26. The 23rd annual Summer Bird Count for Carter County was held Saturday, June 18, with 18 observers in seven parties. Strong winds were a problem for most of the day, causing a few missed species and reduced numbers for others. Still, this year’s count managed 108 species, just below the average of 112 for the previous 22 years. The range for this count has varied from 105 species to a high of 121 species. Interesting finds included a Yellow-crowned Night-Heron, a Red-shouldered Hawk, a Eurasian Collared-Dove, a Warbling Vireo, a Brown Creeper and a Hermit Thrush, as well as 18 species of warblers. Canada Goose, 315; Wood Duck, 4; Mallard, 145; Ruffed Grouse, 2; Wild Turkey, 18; Great Blue Heron, 20; Green Heron, 3; and Yellow-crowned Night-Heron, 1. Black Vulture, 16; Turkey Vulture, 38; Cooper’s Hawk, 4; Red-shouldered Hawk, 1; Broad-winged Hawk, 2; and Red-tailed Hawk, 5. Killdeer, 6; Rock Pigeon, 55; Eurasian Collared Dove, 1; Mourning Dove, 110; Barred Owl, 4; Common Nighthawk, 1; Chuck-Will’s-Widow, 2; and Whip-poor-will, 17. Chimney Swift, 42; Ruby-throated Hummingbird, 25; Belted Kingfisher, 3; Red-bellied Woodpecker, 16; Downy Woodpecker, 4; Hairy Woodpecker, 4; Northern Flicker, 14; and Pileated Woodpecker, 12. American Kestrel, 1; Eastern Wood-Pewee, 6; Acadian Flycatcher, 14; Alder Flycatcher, 2; Least Flycatcher, 2; Eastern Phoebe, 36; Great Crested Flycatcher, 3; and Eastern Kingbird, 16. White-eyed Vireo, 4; Yellow-throated Vireo, 3; Blue-headed Vireo, 21; Warbling Vireo, 1; and Red-eyed Vireo, 91. 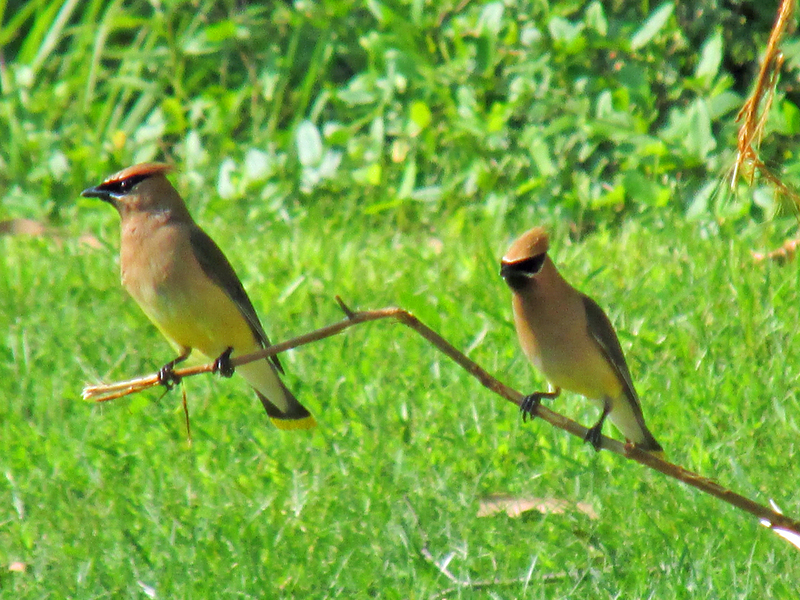 Cedar Waxwings were found on both counts. Blue Jay, 40; American Crow, 237; Common Raven, 3; Northern Rough-winged Swallow, 64; Purple Martin, 43; Tree Swallow, 72; Barn Swallow, 70; and Cliff Swallow, 341. Carolina Chickadee, 43; Tufted Titmouse, 44; Red-breasted Nuthatch, 7; White-breasted Nuthatch, 7; and Brown Creeper, 1. House Wren, 31; Winter Wren, 6; Carolina Wren, 51; Blue-gray Gnatcatcher, 12; Golden-crowned Kinglet, 8; Eastern Bluebird, 52; Veery, 20; Hermit Thrush, 1; Wood Thrush, 34; American Robin, 332; Gray Catbird, 24; Brown Thrasher, 16; Northern Mockingbird, 32; Eurasian Starling, 244; Cedar Waxwing, 17. Ovenbird, 45; Worm-eating Warbler, 7; Louisiana Waterthrush, 6; Black-and-white Warbler, 21; Swainson’s Warbler, 2; Common Yellowthroat, 8; Hooded Warbler, 67; American Redstart, 5; Northern Parula, 6; Magnolia Warbler, 1; Blackburnian Warbler, 1; Chestnut-sided Warbler, 7; Black-throated Blue Warbler, 23; Pine Warbler, 1; Yellow-throated Warbler, 7; Black-throated Green Warbler, 18; Canada Warbler, 16; and Yellow-breasted Chat, 7. House Sparrows were present for both counts. Eastern Towhee, 87; Chipping Sparrow, 59; Field Sparrow, 23; Song Sparrow, 121; Dark-eyed Junco, 62; Scarlet Tanager, 19; Northern Cardinal, 80; Rose-breasted Grosbeak, 11; Blue Grosbeak, 5; and Indigo Bunting, 90. Red-winged Blackbird, 41; Eastern Meadowlark, 14; Common Grackle, 95; Brown-headed Cowbird, 43; Orchard Oriole, 8; and Baltimore Oriole, 2. 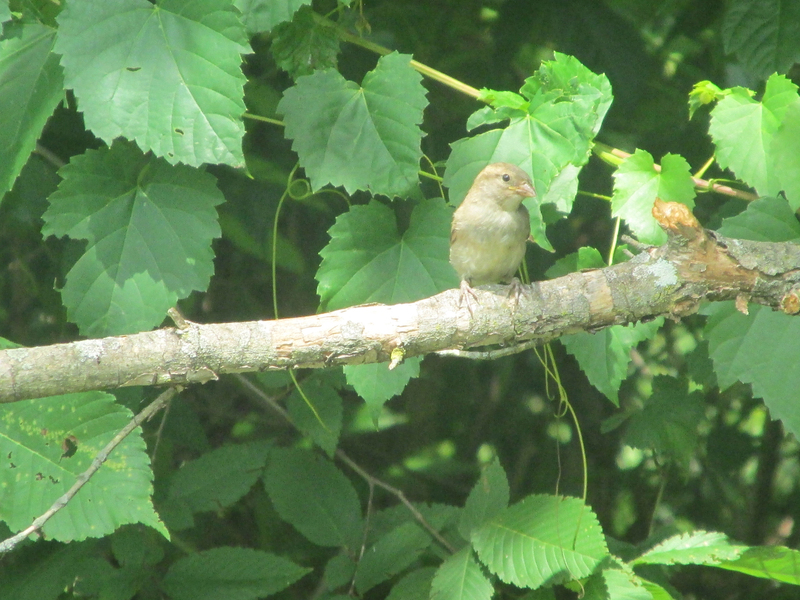 House Finch, 40; American Goldfinch, 81; and House Sparrow, 47. To learn more about birds and other topics from the natural world, friend me on Facebook at https://www.facebook.com/ahoodedwarbler. He is always posting about local birds, wildlife, flowers, insects and much more. If you have a question, wish to make a comment or share a sighting, email ahoodedwarbler@aol.com. This entry was posted in Uncategorized on July 24, 2016 by Bryan Stevens.